I am a catastrophist. I am a mother. You may be wondering what a catastrophist is. Technically a catastrophist is a person who ascribes to the theory of catastrophism, or the idea that the changes in the earth’s crust during geological history have resulted chiefly from sudden violent and unusual events. I have basically usurped the word catastrophist because I only have a rudimentary idea how the Earth formed. And while I am open to the idea that it changed slowly over time, I am suspicious that it had more to do with catastrophes like asteroids, Orange Dinosaurs who were elected by racist Teradactyls, and massive Earthquakes. But for our purposes, a catastrophist is a person who assumes every moment of the day and every decision, from getting out of bed to taking a shower, poses a catastrophic risk to said person. A catastrophist looks at her coffee and sees a trip to the ER with third degree burns. A catastrophist is a person who hears someone say “you have a higher chance of slipping in the tub and dying than getting killed in a plane crash,” and requires Zoloft to get into the shower. A catastrophist sees a skinned knee but fears internal bleeding. If you own a computer and have children and have not become a Catastrophist, then congratulations. If you find yourself worrying about whether you should take your savings and spend it on Orthodontia or a hidey-hole in Wyoming, then welcome. You have found your place. P.S. 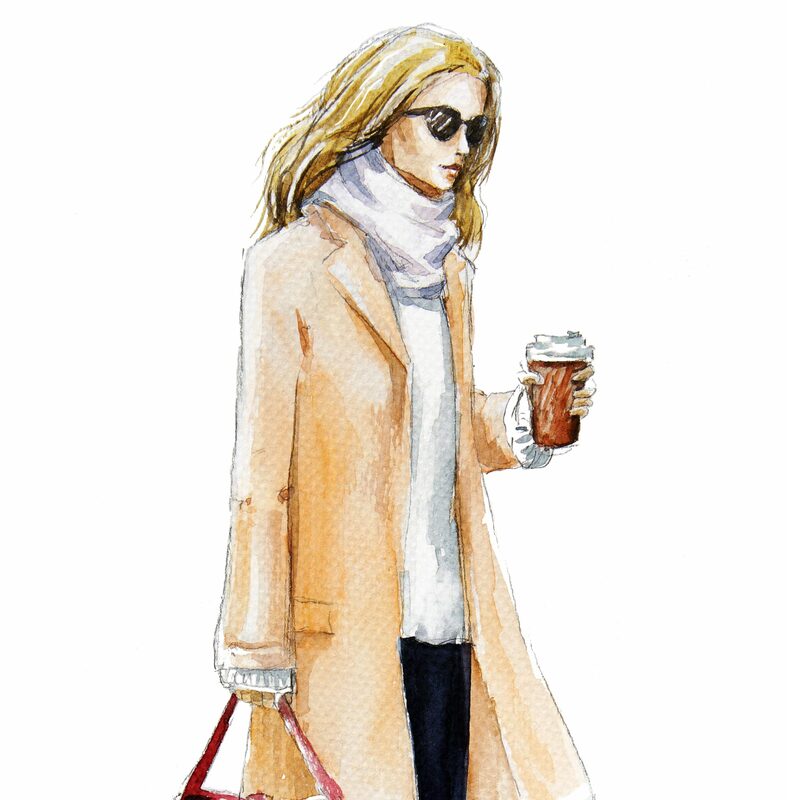 The photo of the fashionable woman is what I try to look like when I walk out the door. What you cannot see from that fabulous illustration is that I am wearing pajama pants and mis-matched bedroom slippers under the coat.